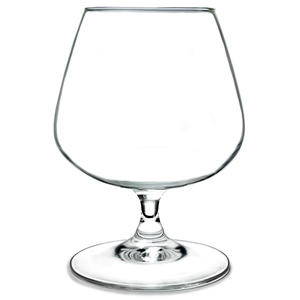 The traditional wide based balloon shape of this brandy glass allows the drinker to warm the spirit in the palm of their hand while the tapered rim will trap the aromas of a favourite after dinner tipple. The extra large size of this brandy balloon also serves to provide ample engraving area for a personalisation of your choice. 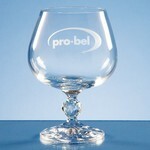 Pair this glass with a decanter from our spirit decanter range for an extra special gift.